Krysada Binly Phounsiri is a professional dancer, an award winning poet, and an avid photographer. 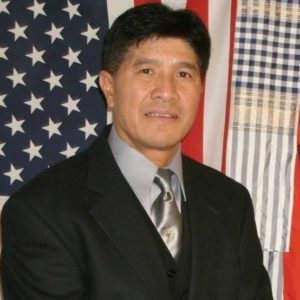 He immigrated to the U.S. at the age of two from the country of Laos. Krysada is a San Diego based artist who began writing poetry at age 11, but fell in love with poetry when he attended UC Berkeley. He is a Physics / Astrophysics double major. A dancer for 15 years, his resume includes various competition wins around the globe, performing a year-long stint in Las Vegas, dancing / choreographing on movie sets, and numerous other creative projects. 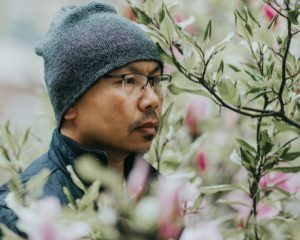 His work has appeared previously in publications such as the Journal of Southeast Asian American Education and Advancement and the Smithsonian Asian Pacific American Center’s national photo project “A Day In the Life of Asian America”. His recent series “Beauty Beyond Scars” is featured in various blogs/content sites including The Getty and The Phoblographer. He debuted his first book of poetry in April 2015, titled “Dance Among Elephants”. The book is a poetic journey of identity, family, homeland, love, and dance. 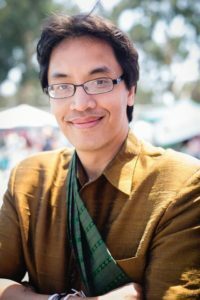 About Lao’d and Clear – LAWS 2017, Binly states “I’m most excited for sitting down with folks to discuss ideas about the worlds we can create and how to put it into writing. Being a writer summit, we are expected to at least walk out of the event with inspiration and material to drive us forward in expressing our narratives in whatever medium we choose.” You can see his photography at www.snappilots.com. 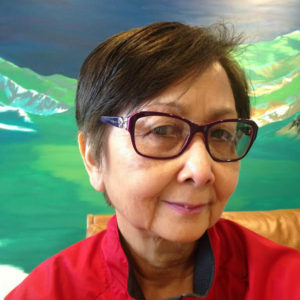 Saymoukda Duangphouxay Vongsay is an award-winning Lao American poet, playwright, and cultural producer. She was born in a refugee camp in Nongkhai, Thailand and immigrated to Minnesota in 1984. Because of her unique background, her work is focused on creating tools and spaces for the amplification of refugee voices through poetry, theater, and experimental cultural production. Her plays have been presented by the Smithsonian Asian Pacific American Center, Theater Mu, Consortium of Asian American Theater Artists, Lazy Hmong Woman Productions, and Theater Unbound. Her writings can be found in such publications as the Journal of Southeast Asian American Education and Advancement and The Asian American Literary Review. Vongsay is a 2017 Aspen Ideas Bush Foundation scholar, and recipient of the following awards: a Many Voices Fellowship from The Playwrights’ Center (2017-18), a Spoken Word Immersion Fellowship from The Loft Literary Center (2017-18), a VERVE Grant for Spoken Word Poets from Intermedia Arts (2017), theater fellowships from Mu Performing Arts (2011, 2012) as well as fellowships to study traditional Lao storytelling supported by the Minnesota State Arts Board’s Folk and Traditional Arts grant (2013, 2015). She’s a recipient of the 2010 Alfred C. Carey Prize in Spoken Word Poetry (NY), and has been recognized as a Change Maker by Intermedia Arts (2011), and the office of Governor Dayton for her contributions and leadership in Minnesota’s Lao arts movement. She is best known for her award-winning play KUNG FU ZOMBIES VS CANNIBALS, produced by Theater Mu and is developing two more plays for the KUNG FU ZOMBIEVERSE anthology of stage works. Her plays and her poetry has been highlighted by The New York Times, American Theatre Magazine, Minnesota Public Radio, and more. Get to know her at www.SaymoukdaTheRefugenius.com. 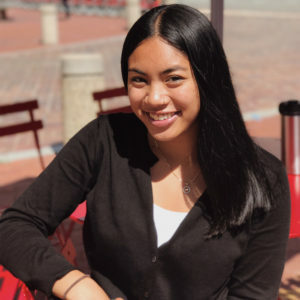 Alina Pennapa Amkhavong is currently a senior at the University of Southern California studying Sociology and Occupational Science. She is originally from Seattle, WA, but her family comes from the Champasak Province of Laos. As the Program Coordinator for a nonprofit called Watts Bears, she is given the opportunity to follow her passion of mentoring marginalized youth through arts, sports, and academic support. Alina will be performing spoken word poetry at the Lao’d REMIX showcase. Alisak Sanavongsay is a classic example of quiet leadership in the Lao community. Soft-spoken and good-natured, he works tirelessly to build a revitalized Lao tradition, volunteering with a wide range of events and organizations from the SatJaDham Lao Literary Project, the Lao Artists Festival of Elgin, the National Lao American Writers Summit, and the Center for Lao Studies, just to name a few. He’s also become known for his role in shooting and editing the popular “Cooking with Nana” show on YouTube. Currently a programmer at the University of California-Merced, Alisak traces his roots to Savannakhet, Laos, initially resettling in Tennessee and Illinois before moving to California with his family. He’ll be a panelist on “Pioneers in Lao American Literary Publications”. 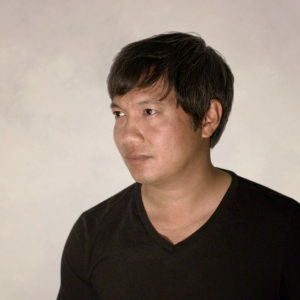 Born in Vientiane, Laos, designer Banchong Douangphrachanh (BD Homme) has lived in the United States since 1984. As a young child, she was a refugee from the Lao People’s Democratic Republic and has made her adoptive country her new home. Graced with the resources in her new found country, Banchong has gone to earn a Bachelor of Science degree from the University of Washington and a Master of Fine Art in Fashion Design from the Academy of Art University in San Francisco. Experienced in pattern-making, fitting, construction, and tailoring, she has gone on to design both menswear and womens’ fashion. Banchong’s work has been featured in Lady Gaga’s music video “Poker Face”, the Academy of Art University spring runway show, the Wing Luke Museum, and Vancouver Fashion Week. She has received coverage in Women’s Wear Daily, California Daily News, Seattle Times, Seattle Business Magazine and Gray Magazine. Banchong hails from Seattle, surrounded by her family and friends. On a Pacific Northwest sunny day, you might find her rowing crew on Greenlake, buying local salmon from the Pike Place Market, and backpacking in the Olympic rain forest. 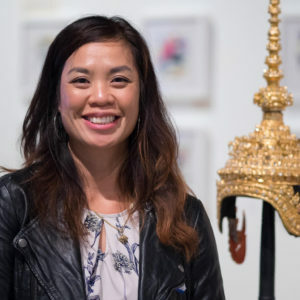 For Banchong, being Laotian American means to be authentic to your self, a self that embraces both a Laotian and an American influence – to be humble, be true, and make great art! You can see her unique pieces at the Lao’d REMIX showcase. 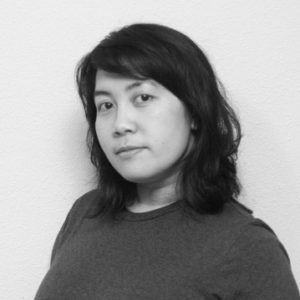 Bousa Tatpaporn (Bousa Concepts) is a multi-media artist of Lao & Thai descent, born and raised in the Bay Area. She incorporates various mediums in photography, video, graphics and fashion design, to explore her unique multi-cultural perspective and identity. Bousa uses the art of visual storytelling as a means for self-expression, healing, activism and social change. She’ll be presenting a photo series as well as two collaborative pieces with designer Kham Sanavongsay of Buatique Shop at Lao’d REMIX. Catzie Vilayphonh is a multimedia artist with a background in writing, spoken word poetry, photography and film-making. 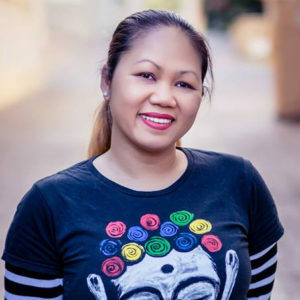 She runs Laos in the House, a project that promotes storytelling in the Lao American refugee community, and is a founding member of the group Yellow Rage who were featured on HBO’s Def Poetry Jam. Catzie has worked on various artistic projects with partners such as Mural Arts Philadelphia, Asian Arts Initiative, Smithsonian APIA Center, The Moth, and the Institute of Contemporary Art Philadelphia. Throughout her artistic career Catzie has been a recipient of awards from Pennsylvania Council on the Arts as well as the John S. and James L. Knight Foundation. She has been a 2012 Creative Capital finalist, a four-time Leeway Foundation honoree, and was named a 2016 Woman Non-Profit Leader by Philadelphia City Council. 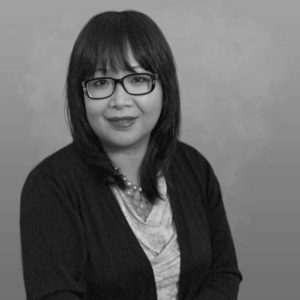 Catzie was recently appointed to the Mayor’s Commission on Asian American Affairs in Philadelphia and is a co-founding chair of the national Lao American Writers Summit. She will be sharing her spoken word poetry at the Lao’d REMIX showcase. Chanida Phaengdara Potter is a Lao American development nonprofiteer. 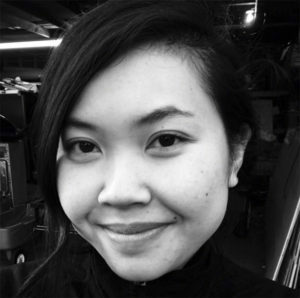 Chanida is the founding editor-in-chief of Little Laos on the Prairie and executive director of The SEAD Project. 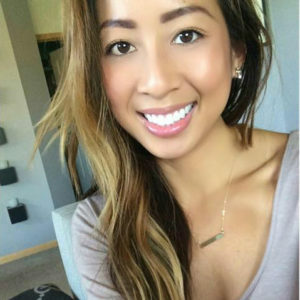 Born in Viengxai, Laos; Chanida’s home is both in Minneapolis and Vientiane. Chanida has worked 10+ years in the nonprofit field on public affairs, community development, and advocacy. Chanida holds a BA in Global Studies and Communications from University of Minnesota and a MS in Public Administration from Hamline University. Chanida has been featured on Twin Cities Daily Planet, Asian American Press, The Uptake, Minnesota Public Radio, Star Tribune, Pioneer Press, and Voice of America. She currently serves on the board for the Twin Cities Media Alliance. Chanida’s interests are in the Southeast Asian diaspora, sustainable development, and of course, beautiful Laos. She will be one pf the panelists for Pioneers in Lao American Literary Publications and Movement. Christina Tia (House of X Tia): Long story short: A first generation Laotian American, inspired by the joy of eating and her mother’s delicious home cooking, quits day job, starts a Lao-food-made-easy Youtube channel, and the rest… an extraordinary adventure. 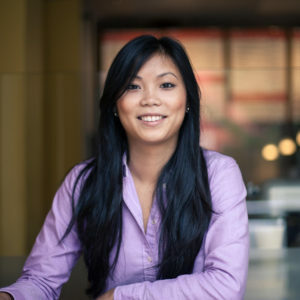 Christina will be talking about the importance of social media as a panelist on the topic Lao Food Movement: Defining Our Cultural Identity Through Food. Dennis Khom Sikhanthat is a Seattle based Lao American photographer. 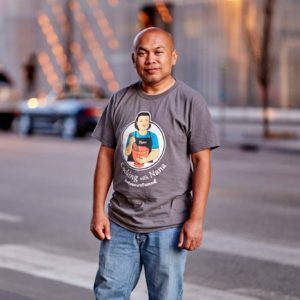 He is originally from Laos and has called Seattle his home since 1980. 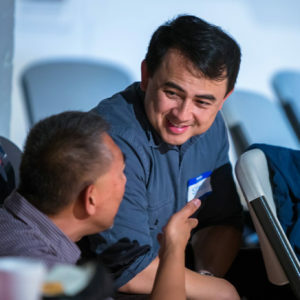 Besides photographing weddings and portraits, Dennis realizes the importance of documenting Lao American community events, and as such he covers many events in the Great Seattle Area. Dennis has been photographing Kinnaly Seattle/Pom Foundation (formerly Lao Heritage Foundation) performers and events since the organization’s inception in 2002. He also enjoys landscape photography and you can often find him on Jose Rizal Bridge photographing epic sunsets over the Olympic Mountains and Puget Sound. When Dennis does not have a camera in his hand, he is usually eating a large bowl of pho and drinking too much coffee. He is co-facilitating a photography workshop with our keynote Krysada Phounsiri called “Capturing Lao’d & Clear”. Ekkarath Sisavatdy is Lao by chance, love by choice and Lao’d by necessity. Known to many simply as Ekk, he was the last in a the family of 10 to be born in Vientiane Laos and a proud refugee immigrant. Ekk currently works in education as Project Director for the Asian American Native American Pacific Islander Serving Institution (AANAPISI) at Highline College. Ekk believes gratitude makes attitude, that knowing our gifts is a must and legacy work is truly heart work. As Lao Americans it’s important that we support one-another and give back to our underserved community. He’s thrilled this summit is happening here at Highline College, Seattle community and the Pacific Northwest and excited to be working with Dr. Khamph Southisombath in hosting the Mentoring 101 Workshop. Hing Potter is a higher education professional, currently at Edmonds Community College, where he works in Admissions and Outreach. His previous experiences include Residence Life at Edmonds CC, New Student and Family Programs at Boise State University, and Student Life at College of Western Idaho. At the age of 4, Hing was adopted from Cambodia and was raised in the Seattle area. Growing up, social justice became a passion Hing as pursued to learn more about and engage more in. This includes promoting education access, advocating for LGBT rights, and elevating the voice of the Asian communities. Hing Potter holds a bachelor degree in Political Science – International Relations from Boise State University and has been accepted into the Masters in Higher Education Administration program at Northeastern University, and will begin studies this fall. On the side, Hing serves on the Board for Edmonds Chamber of Commerce, Edmonds Young Professionals and Young Leaders United of Snohomish County. He also serves on the NASPA Student Affairs Administrators in Higher Education Region V Advisor Board. Hing also is a recent graduate of the Young Professionals Class of 2017 of Leadership Snohomish County. His workshop is called Social Justice 101 & Student Activism. Jarrod Houghton is a visual artist. Born in Winfield Kansas, he attended the University of Kansas, Lawrence, KS, and received his Bachelor of Fine Arts Degree in Sculpture with distinction in 1999. With a full tuition Scholarship from Southern Illinois University of Carbondale, IL, Houghton received his Master of Fine Arts Degree in 2002 in Sculpture. He is currently an Assistant One-Year Professor in Foundations at Middle Tennessee State University, Murfreesboro, Tennessee. Jarrod has exhibited nationally in Alabama, California, Illinois, Kansas, Kentucky, Louisiana, Missouri, New York, and Internationally in Canada, Mexico and New Zealand. He will showing his works at Lao’d Remix. Dr. Khamph Southisombath was born in Savannakhet, Laos and came to the United States as refugees with her family when she was five years old. 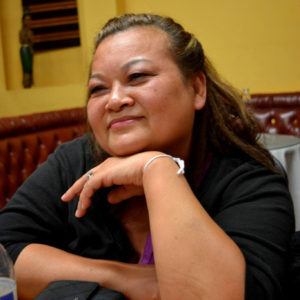 Growing up in a non-English speaking household and having lived in a very diverse and low-socioeconomic area in Fresno, CA, she realized at an early age the disparities that affected her community. Her desire to alleviate these disparities prompted her to become a family medicine doctor. Dr. Khamph believes that her role as a physician is to not only improve the health of patients but also to mentor, empower, and advocate for the community in which she serves. She graduated from the University of California, San Diego, School of Medicine, then completed her Family Medicine Residency at White Memorial Medical Center in Los Angeles, California, and is currently finishing up her Global Health Fellowship at the University of Washington, Family Medicine. Dr. Khamp will be co-leading a workshop on Mentorship with Ekkarath Sisavatdy. Khaythong Loungamath started writing for Sieng Khaen Magazine in 1987. Sieng Khaen was one of the first Lao American Newspaper Magazines to be published in San Diego, with a worldwide distribution. Khaythong contributed writing poetry, news, interviews, and short stories until 2000. She wrote under the pen names: Bakka Thong, Dok Boua Thong, Dong Seit Thy, as well as her real name. She is currently retired in Federal Way, Washington as proud grandma to 11 grandchildren, but she continues her writing in stories she shares at her church. 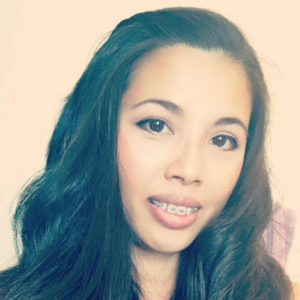 She will be representing how writing and being creative has been in the Lao American community from early on as a panelist on “Pioneers in Lao American Literary Publications and Movement”. 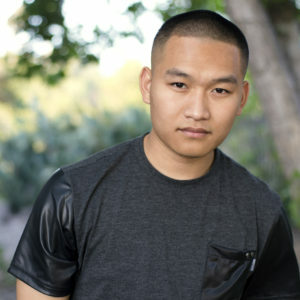 Kennedy “EraNetik” Phounsiri is a Lao-American independent recording artist and professional dancer from Southeast San Diego. He is currently managed by Finest City MG / Collective Society for music and Go 2 Talent Agency for dancing. Not only has he racked up over a million views online and gained thousands of fans, his greatest accomplishments also include NBC’s America’s Got Talent, TruTV’s Fake Off, and being a principle member in the Jabbawockeez show in Las Vegas & Australia. Eranetik will host a workshop for songwriting and lyricism, and will also be performing as part of the Lao’d REMIX showcase. Kham Sanavongsay (Buatique) is a visual artist, product developer and an entrepreneur who runs her own online small shop where her Lao-inspired merchandises can be seen. She has worked in the industry professionally for nearly two decades collaborating with many talented and creative individuals in merchandising, product development and design. Kham’s journey has been inspired by many great visions along the way and she’s thrilled to know there are many others like you who share the joy and interest in the wondrous artistry of traditional textile. She currently resides in San Francisco Bay Area, CA with her husband and two daughters. Kham will be showing her scarves and jewelry as part of the Lao’d Remix showcase. Kinnaly Lao Traditional Music and Dance Troupe organized with the purpose of preserving, promoting, transmitting, and educating about Lao arts and serves to fulfill the cultural arts portion of the Pom Foundation’s overarching goal to build and instill Lao culture. 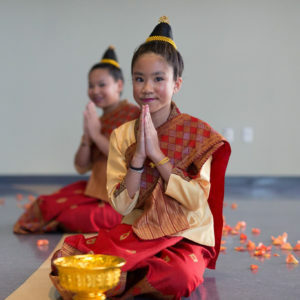 They’ll be teaching a workshop which will encompass the different types of lumvong, traveling from the northern regions to the southern regions of Laos. Latana Jennifer Thaviseth is a currently a doctoral student in the Higher Education and Organizational Change Program at UCLA. Along with being a graduate student, she works at Academic Advancement Program as a Research Rookies Coordinator, a research associate with Glassfrog, and teaching assistant with the Asian American Studies Department. 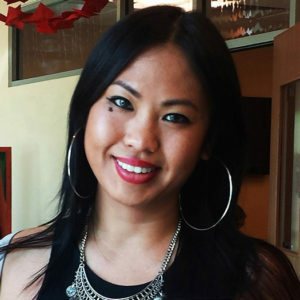 Her research focuses on the educational trajectories of Southeast Asian American students. Loy Khambay-Correa (I AM LOY) creates work that is Feng Shui-inspired, each of the pieces demonstrate how art can change the feel and energy of the room. Art reflects the mood, the tastes and the attitudes of different people. She loves working with oil, noting that it’s a very flexible medium because of its slow drying process. She says “it gives me time to think as much as I need, to communicate with my canvas”. Loy will be showing 3 of her pieces at the Lao’d REMIX showcase. Mairkong Ban Na was born in Ban Hom, Vientiane Laos and specializes in Lao folk music and Lao Lum. He is one of our local Seattle Morlum and is the leader of the Mittaparb band. “Morlum” is a traditional Lao form of song originated from Laos. The characterizing feature of Lao Lum singing is the use of flexible melody, which is tailored to the tones of the words and is a good way of storytelling. Traditionally, the tune was developed by the singer as an interpretation of poems and accompanied by the kane, a mouth organ piece of a Lao instrument made with bamboo. He loves to lum as a kid and sings to all traditional & modern Lao songs. Lao Lum inspires him to sing and upholds the tradition to this day. His passion is to lum and support various community events. As part of giving back to our community, he is excited to perform during the “Lao Lum Lunch” with a story telling. Muhamed Manhsour will be facilitating a workshop on how to write a personal statement, aimed specifically for anyone applying for college. Participants are asked to come prepared to get the nitty gritty information on college admissions and the secrets to what admissions counselors look for in personal statements. Muhamed will share how important it is to infuse one’s own identity and story into their personal statement. Participants will learn all of the components of a crafting good writing and show examples of winning essays. All guests are encouraged to attend, especially those who may not be applying to college this year, but plan to in the future. Nick Khamphilom is currently a senior studying at the University of Washington and born to Lao refugees here in Seattle. 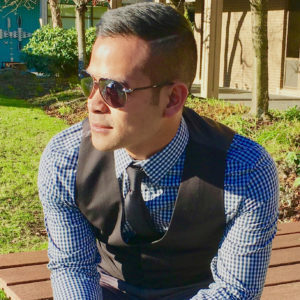 He currently works in recruiting at the UW Multicultural Outreach and Recruitment as a student ambassador to help create accessible links between underrepresented Southeast Asian communities and higher education. 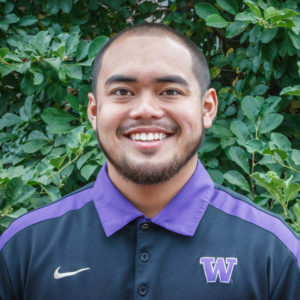 He also works to help retain underrepresented minorities on campus as a student resource coordinator at the UW Ethnic Cultural Center. A student in the fields of Speech and Hearing Sciences and American Ethnic Studies, Nick is working to create equitable links between our Lao community and access to higher education and healthcare. He’ll be leading a workshop called “Getting Lao’d and Clear: Team Building Workshop & Introductions”. Nittaya Phane- Sengthongsavang (Lao American OriginalS) immigrated to the U.S. with her family in 1981. Inspired by her mother’s craftiness and grandmothers textile weaving background, she creates unique jewelry and accessory pieces for her brand Lao American OriginalS. Using re-purposed textile fabric, recycled material, and even broken jewelry she turns them into a one of a kind pieces, strongly believing the mantra of reuse, recycle, and redesign. Nittaya will be showcasing her unique Lao American OriginalS pieces at Lao’d Remix. 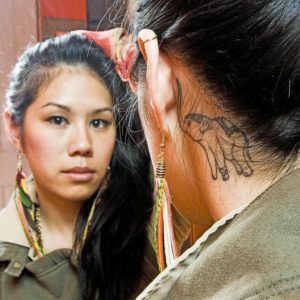 Nor Sanavongsay is an award-winning Lao American writer in the San Francisco Bay area and the founder of Sahtu Press. 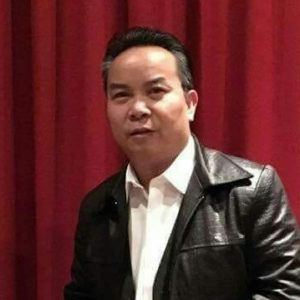 He has been a member of the SatJaDham Lao Literary Project, the National Lao American Writers Summit, the Lao Artists Festival of Elgin, among many others. He is the author of children’s books inspired by Lao folktales, such as Xieng Mieng: A Sticky Mess. Some of his handiwork can be seen from companies like Encyclopaedia Britannica, Sears, Zoosk, and Barnes & Noble among others. Nor will be facilitating a workshop on creating a children’s book and will feature his illustrative works at the Lao’d REMIX showcase. Sengsay Sayaseng is a visual artist specializing in Lao folk art. Born in Thakhek Khammouane, Laos, Sengsay combines both Lao and American art skills to create beautiful paintings of Lao landscape and nature. He keeps his passion for art alive through teaching art and hopes to transfer his art skills to the next generation. Sengsay will be sharing his work at Lao’d Remix. 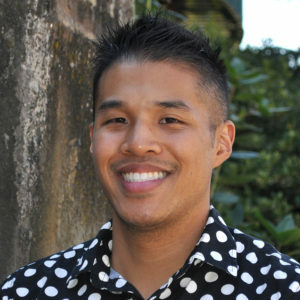 Simon Boonsripaisal is the AANAPISI Professional/ Technical Educational Planner at South Seattle College. Raised in Tacoma, WA, Simon identifies as a Thai American, a Theravada Buddhist, and shares many experiences with South’s students. Previously, Simon served as an Outreach Advisor at Pierce College at Joint Base Lewis-McChord working with prospective, current and returning students. 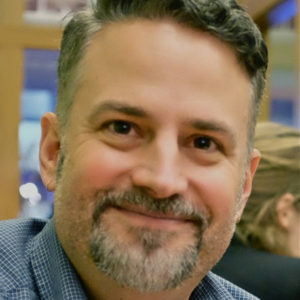 Simon holds a BA in Political Economy from the University of Washington Tacoma, a Masters of Education in Higher Education from Central Washington University, and a Certificate in Faculty Preparation: Teaching in Higher Education from Humboldt State University. Simon works in the AANAPISI Center focusing on serving both academic transfer and professional/technical students and is the staff advisor for the Latinx Student Union, African Student Association, Southeast Asian Association, and Dance Club. Simon also serves as a Search Advocate at South and is a chair member of South’s Men of Color. He will be facilitating a workshop titled “Pai Sai? Discovering Intersectionality with a Cultural Humility Approach”. Sisavanh Phouthavong-Houghton‘s artist statement: As a refugee, the process of connecting and disconnecting with a place or community are abstracted ideas of migration as an immigrant. The painting process is unpredictable and is an ongoing dialogue about assimilating and relocating into another culture and space. The work capture and embrace architecture and built environment in its state of flux. Teetering between realism and abstraction, I fold space and time to connect with the fleeting world. To achieve a kaleidoscopic effect, I employ multiple viewpoints, rhythmic fragmentations, and strong color contrast to fuse both the contemporary and historical landscape elements into one. Born in Vientiane Laos in 1976 and at the age of four Sisavanh emigrated with her family from Nong Khai refugee camp in Thailand to Winfield, KS. She is a multimedia artist using classical and contemporary techniques and materials. Her source material for research is autobiographical and stems from her personal experience and an observer of the everyday culture. Sisavanh’s paintings, collages and sculptures can be seen at the following national and internationally permanent collections: American Embassy, Paramaribo, Surinam; Pinnacle Bank, Nashville, TN; Tennessee State Museum, Nashville, TN; Museo de Collage, Mexico; The Learning Connexion, New Zealand; Juel Salon, Franklin, TN; The Verbeke Foundation, Belgium and Sweetwater Center for the Arts, Sewickley, PA. Her work has been reviewed by The Wall Street International, Tennessean, and interviewed by Voices of America, and Next Door Neighbor, National Public Television. She has been published in Create and Studio Visit magazine, recognized as a New Superstar of Southern Art by Oxford American and just received the prestigious Tennessee Arts Individual Fellowship for 2D. Sisavanh’s research has been funded several times by the Tennessee Arts Commission and MTSU grants. She has partnered with the Frist Center for the Visual Arts’ Educator for Community Engagement; the Oasis Center; and CRIT, the Center for Refugees and Immigrants of Tennessee. She earned a B.F.A (Painting) from the University of Kansas and an M.F.A. (Painting/Drawing) from Southern Illinois University-Carbondale, IL. She is currently an Associate Professor at Middle Tennessee State University in Murfreesboro, TN, where she teaches advanced level painting courses. In 2014, she won an MTSU Outstanding Teacher of the Year Award. Sisavanh will be showing four pieces of her original work at Lao’s Remix. Steve Arounsack is an Associate Professor of Cultural Anthropology at California State University, Stanislaus. Former Editor-in-Chief of Lao Vision Magazine. He will part of a plenary panel Pioneers in Lao American Literary Publications and Movement. Cool Jerk was started by Malichansouk Kounchao and Mike Davis in the Spring of 2010 as a way to share their Aunt’s homemade beef jerky with the rest of the world. She has been making sweet and savory beef jerky for over 20 years, using fresh, natural ingredients and techniques used in recipes from her home country of Laos. Traditionally paired with sticky rice, papaya salad, and other Lao dishes, this delicious jerky goes well with just about anything. Cool Jerk will be presenting a video on the panel for Lao Food Movement. Kohk and Sahk was born out of a need for the founders, Lao Americans, to have readily available the distinct cuisine indigenous to their home country. Like many immigrants from Laos who settled in the U.S. in the 1970’s, the founder’s parents brought with them generations of family recipes infused with a rich culture and history. They aspire to make the intense aromas they relished growing up their homes and small Lao communities accessible everywhere. Kohk & Sahk delivers authentic Lao essence in its high-quality product. Ninja Foods are the proud makers of instant and authentic Lao papaya salad sauce. Available in spice levels mild, medium and hot, their sauce contains a great balance between sweet, sour, and spiciness (som/wan/phet) that you would absolutely love in every mouthwatering bite. Just add their sauce to anything you want to thum for a convenient way to get the same great taste every time. Tie Theory was created by LA-based designer Saengthong Douangdara, is a fashion brand that focuses on men’s formal wear. The designs take men’s formal wear out of the stereotypical design by adding eclectic, bold patterns to the designs. The mission is to tie in underrepresented communities through clothing while giving space to highlight stories and to give back to communities. 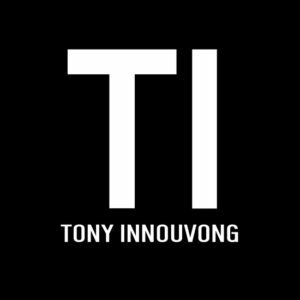 Tony Innouvong is a Lao American menswear fashion designer. Tony lives between the traditional and modern worlds, honoring both. His vision is shaped by his culture and his drive is inspired to share it with the world. Each piece reflects his story, Lao heritage, and passion to create a legacy for future generations to enjoy.